Smart horseplayers know very well that giving all horses in a race equal consideration is the wise thing to do — a handicapping principle clearly on display Saturday. That’s when two easily overlooked Kentucky Derby hopefuls – Plus Que Parfait for Brendan Walsh and Maximum Security for Jason Servis – were rewarding backers with victories in the $2.5 million UAE Derby in Dubai and the $1 million Florida Derby at Gulfstream Park, near Miami. Both are now assured of starting spots in the Kentucky Derby on May 4 at Churchill Downs in Louisville. Plus Que Parfait is currently the Kentucky Derby points leader. Maximum Security is tied for second. For the complete up-to-date standings, determining the 20 horses with top preference to enter the US’s most prestigious horse race, click here. 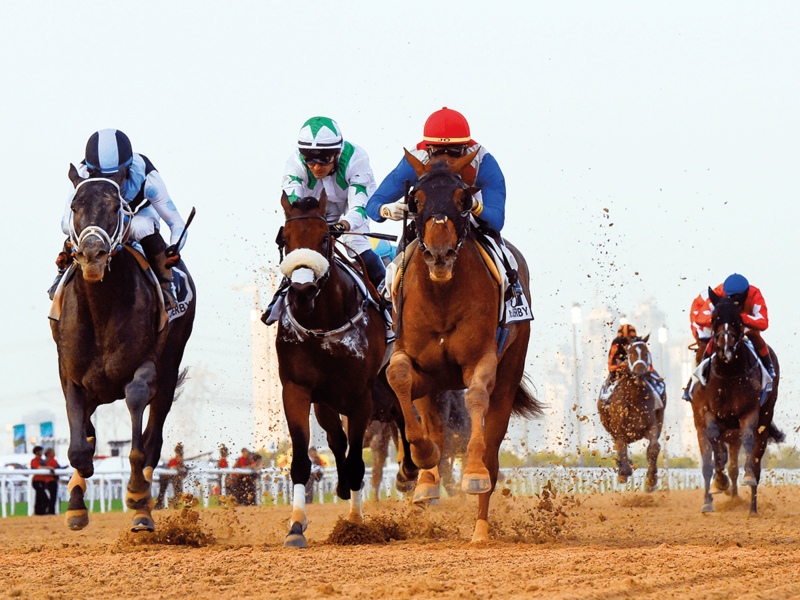 At Meydan Racecourse more than 7,000 plus miles from Gulfstream, Plus Que Parfait, under the schooling of Kentucky-based conditioner Walsh, is proof that shipping a third of the way around the globe to get Derby points is a clever gambit. The son of sire Point of Entry, disappointing at odds of 4/1 and 6/1 in two straight loses to War of Will in New Orleans is now clearly a live Kentucky Derby contender. In the 1 3/16 mile UAE Derby under new rider Jose Ortiz, Plus Que Parfait – $19.60-$7.00-$6.40 – attended the early pace until mid stretch. Then, deftly weaving through traffic, quickly bursting to the lead about 100 yards from the finish, stamping himself Kentucky Derby worthy. Another refuge from less than stellar efforts to gain points in US races, Gray Magician – $8.00-$6.80 – was a strong second for trainer Peter Miller. However, Aron Wellman, president of Eclipse Thoroughbred Partners, which co-owns Gray Magician, says it’s “highly unlikely” they go on to the Kentucky Derby. At Gulfstream Park, a group of highly regarded horses including Hidden Scroll, Code of Honor, Bourbon War and Harvey Wallbanger were part of a field expecting to provide a contentious renewal of Gulfstream’s signature event. In the end, it was Maximum Security – $11.60-$7.40-$5.40 – breaking sharply and setting reasonable fractions. Then, well-rated under his new rider Luis Saez, holding off all comers, among them, Bodexpress – $47.40-$15.60 – securing the win by 3 ½ lengths. Time of the 1 1/8 mile: 1:48.86 on a track rated fast. For the complete race chart click here. The Florida Derby is Maximum Security’s stakes debut. He’s a son of New Year’s Day and is owned by Gary and Mary West. Servis, a high-percentage East Coast training fixture is his trainer.The West name is familiar to all Derby fans because they also own last year’s juvenile champion Game Winner. Many believe he’s the top Kentucky Derby prospect anywhere. Game Winner is based at Santa Anita and will next be seen in the Santa Anita Derby on Saturday. Game Winner is trained of Bob Baffert, trainer of last year’s Triple Crown winner, Justify. Also of note it the rags-to-riches resume for Maximum Security. His first race Dec. 20 at Gulfstream was a maiden/claiming event in which any other trainer and owner could have taken ownership of the horse for a modest $16,000. Buying him now could cost 50 times that price. That’s if he were for sale. He’s now four for four in his short career and on his way to Churchill Downs the first Saturday in May.